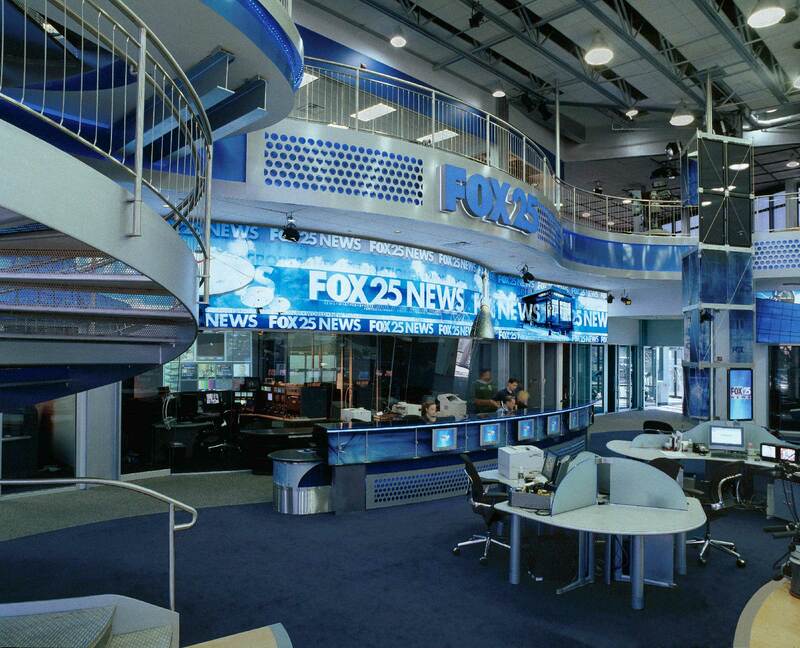 By dramatically blending new and renovated spaces, the five-acre complex positions the station as a leader in news production in the Boston market. 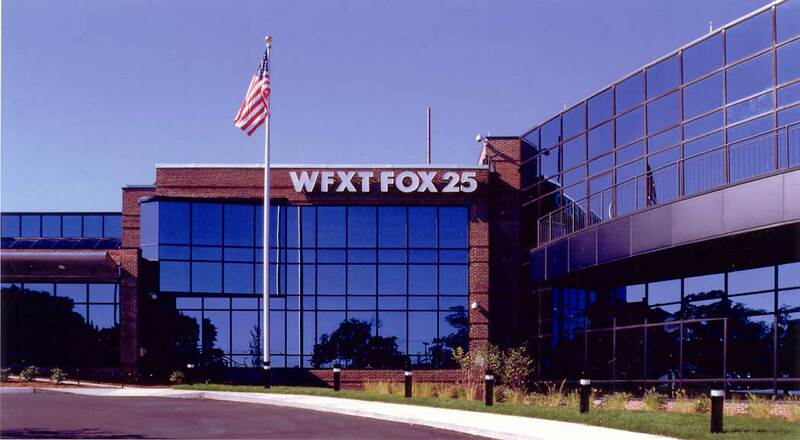 WFXT wanted to expand its news production capabilities in the Boston market, but its aging facility in Dedham, Massachusetts was undersized. 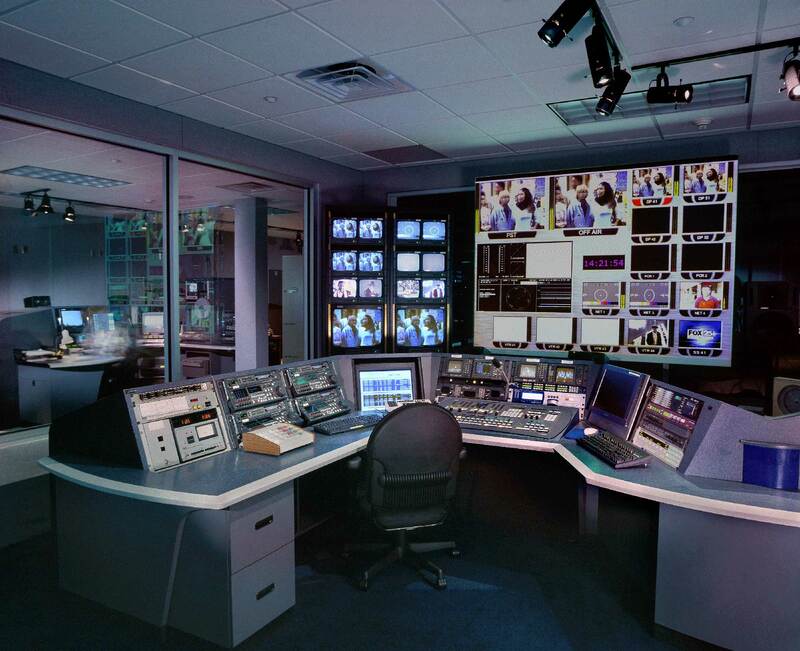 In addition to the need for a new studio complex, the facility required a full renovation for expansion of the station’s sales, traffic, and graphic design departments. 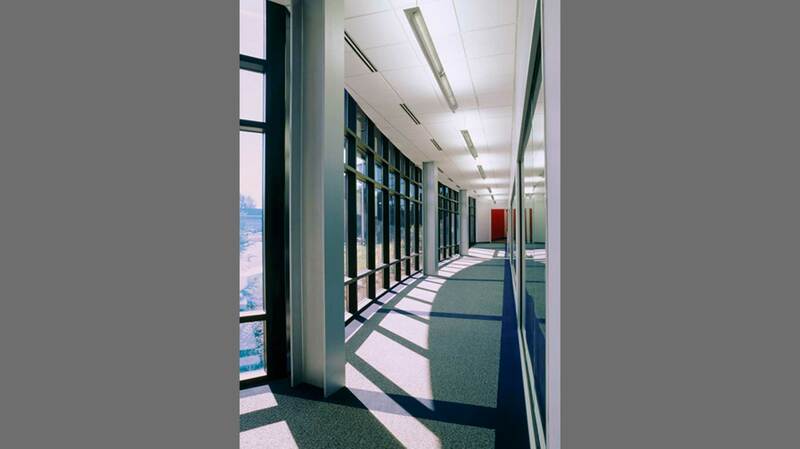 Lawson was tasked with the design and seamless integration of the new and renovated spaces. 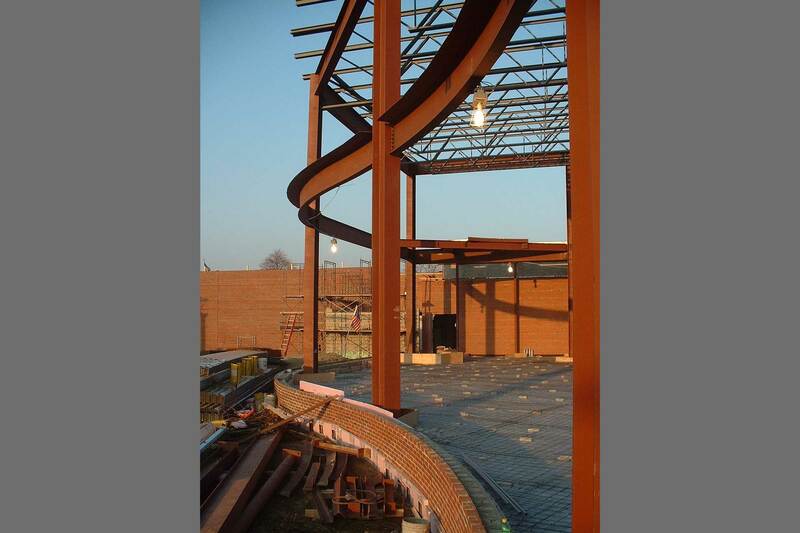 The solution developed by Lawson involved expanding over a parking lot to utilize an old building and capture an adjacent parcel of land. 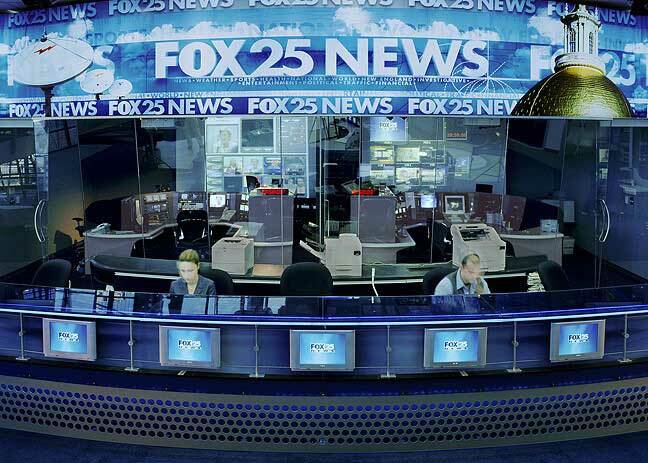 Using new construction and renovation in multiple phases, Lawson collaborated with WFXT and Fox management to transform WFXT into one of the country’s premier broadcast facilities. 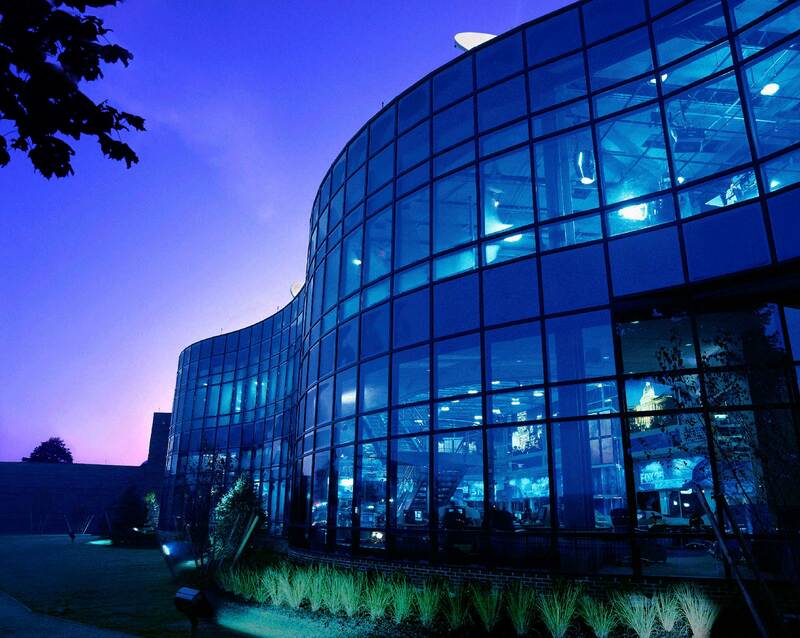 A dramatic curved glass curtain wall spans the space between the two previously existing buildings. 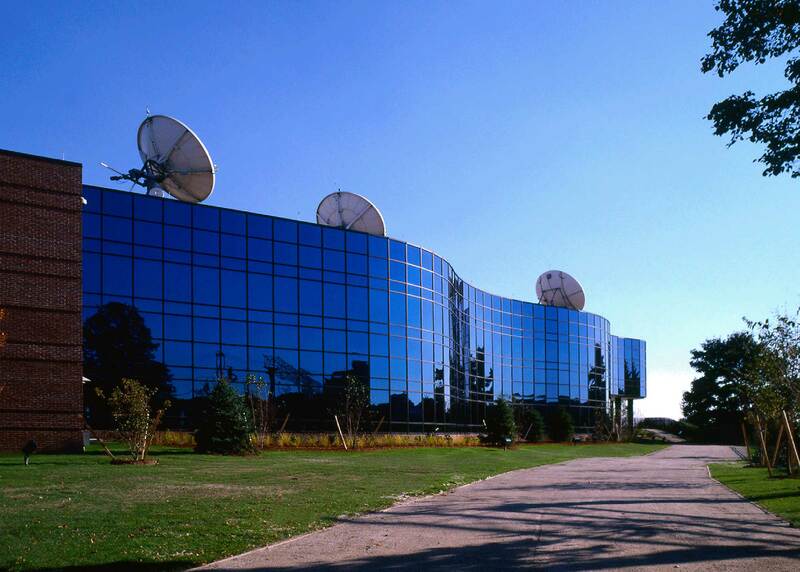 The new land purchase provided the footprint for the new studio complex, with a 6,500 square foot studio, two master control rooms, two production control rooms, an 80-rack equipment room, and indoor parking for satellite trucks. 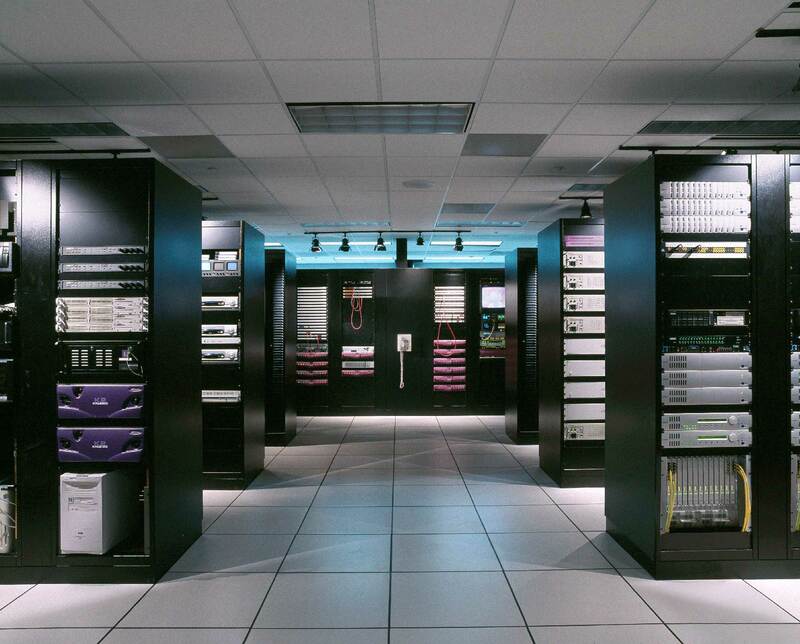 The renovated facility was expanded for business functions. 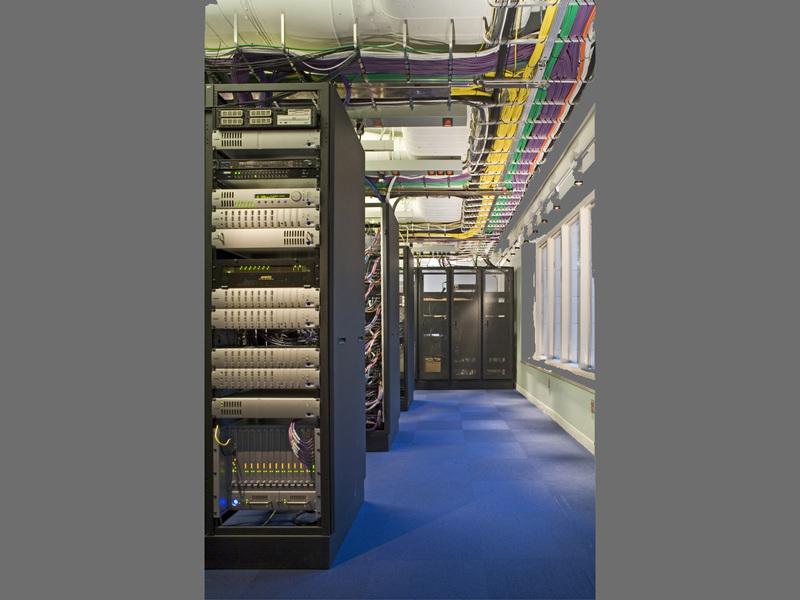 The complete rebuild also included replacing existing mechanical and electrical systems. 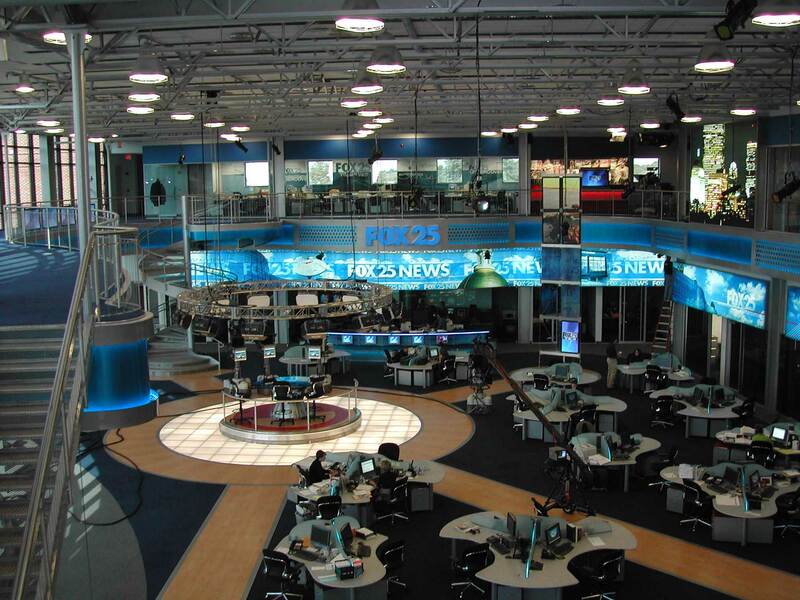 With the new two-story newsroom as its focal point, the five-acre complex features a state-of-the art 100,000 square foot building designed with room for expansion.